There is another form of diabetes only present during pregnancy known as gestational diabetes. Like Types I and II, this third form of diabetes affects the manner in which your body’s cells manage blood sugar or glucose. This dysfunction in management can result in extremely high blood glucose readings. Gestational diabetes is usually temporary, and blood sugar levels typically return to normal after the baby is delivered. However, it is crucial that women affected by this illness seek proper medical care throughout pregnancy, to assure that no complications develop. Gestational diabetes has many similarities with the other forms of the disease. Glucose and insulin control are key in gestational diabetes, and must be thoroughly monitored to assure that both mother and baby remain healthy. This disorder primarily develops during the second trimester of pregnancy, and can even occur as early as week twenty. Comprehending gestational diabetes is easier if you can understand how blood sugar levels and insulin relate to the operation of the body as a whole. Insulin is continuously produced by the pancreas, an organ that is situated behind the stomach. As glucose levels increase after a meal, the production of insulin is also increased. This excess insulin helps the body maintain a proper level of blood sugar and provides it’s cells with a source of energy. While you are pregnant, the placenta produces hormones to control the pregnancy and keep the baby healthy. These hormones can essentially make cells insulin resistant. The placenta continues to grow throughout your pregnancy, excreting even more of these hormones. This can make the insulin’s job even harder to perform. While the pancreas usually responds by producing extra insulin to defeat this resistence, in some instances, the gland cannot sustain the process. This results in glucose deficiency in the cells, but overproduction in the blood. This is the underlying cause of gestational diabetes. Any pregnant woman can be at risk for this form of diabetes, but some women have a larger chance of developing it than others. Women that carry extra weight before pregnancy have a greater risk of developing gestational diabetes. Those of certain heritage, such as, Asian, American Indian, or Hispanic are also more likely to develop the disease. You are also prone to the illness if an immediate family member has Type II diabetes. And finally, women over the age of 25 have a higher risk of developing the disease. As screening for gestational diabetes has now become a normal part of pregnancy care, early detection has become easier. A blood test referred to as the “blood challenge test” is recommended by most physicians in the sixth or seventh months of pregnancy. If you have a higher risk of developing the disease, the test administration is advised earlier. Uncontrolled glucose levels during pregnancy can lead to gestational diabetes complications for both mother and baby. Pregnant women affected by gestational diabetes are prone to develop a condition called preeclampsia. Preeclampsia usually develops after the 20th week of pregnancy, and is characterized by an increase in blood pressure and extra protein in the urine. If preeclampsia is untreated, the complications for the mother and baby can be extremely serious, even life-threatening. Poorly controlled blood sugar levels can also lead to complications for the baby. Low blood sugar, respiratory problems and jaundice are just a few conditions that may plague the infant. To assure that mother and baby remains healthy during and after pregnancy, careful monitoring of glucose, diet, and lifestyle are essential. Keeping the body healthy and fit during pregnancy can assure a long life for both you and your new bundle of joy. This entry was posted in Pregnancy on June 30, 2010 by admin. Any person with diabetes needs to do blood sugar checks often, but a pregnant woman with diabetes needs to know whenever her blood sugar levels are not right. That is why blood glucose monitoring is so important. Gestational diabetes is a serious condition for pregnant women because it can affect their health and the health of their unborn child. It is extremely important to keep track of blood sugar readings at all times. This means that, instead of testing two to four times a day as most diabetics do, she will have to test six or more times a day. By knowing what her blood sugar level is, a woman can do something to adjust it. If her blood sugar level is below 60 mg/dl, she needs to take immediate action to raise it up again. Some of the symptoms of low blood sugar are similar to pregnancy symptoms, such as dizziness or faintness. That makes the test important in figuring out if the blood sugar is really low. A woman may also confuse the weakness or sleepiness of a high blood sugar spell with pregnancy effects. Getting a blood sugar reading helps her know when to take action. If she is taking insulin, she will have a chart describing how much insulin to take depending upon how high her blood sugar is. Whether she is taking insulin or not, high blood sugar readings need to be reported to her doctor. A pregnant woman with any form of diabetes needs to be in control of her blood sugars at all times, if possible. Testing at intervals after eating will help her to understand how different foods affect her blood sugar levels. Testing after exercise will help her to determine whether she needs a quicker-acting snack after the workout. For those who were diabetics before they were expecting, it is just as important because their bodies change during pregnancy. It is also wise to test before exercise. It is important to know that the blood sugar level is high enough to support activity. If not, the woman may need to take a snack before even beginning her workout. There are some cases when blood sugar can get too high to exercise. Discuss with a doctor what levels are dangerous. It is best for women to carry their testing supplies with them wherever they go. They may not only be out at the time when they are supposed to check their blood sugar. They may also have symptoms of high or low blood sugar that need to be checked out. The monitoring kits are compact and easy to take along, so it is a convenient thing to do. It is easier than ever to keep track of blood sugar readings. New blood glucose meters have thinner lancets or allow blood to be taken from sites on the body other than from the fingers. It is good to keep a log of blood sugar readings and the foods eaten and activities done before they were taken. Yet, new blood glucose meters can have their data downloaded to a doctor’s computer for extra accurateness. Blood sugar testing should be a top priority for pregnant women who have diabetes. Whether you have type I, type II, or gestational diabetes, your condition could affect your unborn child. The doctor will be vigilant in watching for complications and risks to the baby. From the start, the baby will be considered in all a pregnant woman’s diabetic treatment. A woman’s diet will be closely monitored by a dietician so that she will give her baby good nourishment throughout the pregnancy. 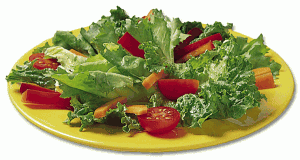 At the same time, a dietician will work with her to keep her blood sugar under control. Insulin is the best treatment for pregnant diabetics who need more help managing their blood sugar levels. It does not harm the baby in any way. Pills for diabetes are often damaging to fetuses, so they are generally not used. For those who do take insulin, you may need to check glucose levels many times a day while you are pregnant. 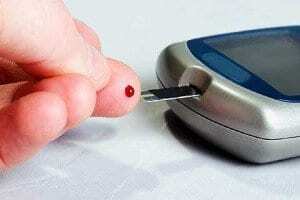 It is more crucial at this time to have steady blood sugar levels that are neither too high nor too low. It may seem annoying to get out a monitoring kit so often, but if your baby is safe that is the most important thing. Fetal ultrasound tests are common now, but they are especially important for pregnant women with diabetes. Their babies tend to be larger than usual and may need special considerations because of it. If you are not already taking insulin, your doctor may begin insulin if the baby turns out to be large. Once you are on insulin, for whatever reason, it is almost always necessary to have a non-stress test for the sake of the baby. This test is important to check up on the baby’s heart. It measures if and how much the baby’s heart rate goes up or down after movement. If the baby moves, and the heart rate does not go up, there may be a problem. Women with gestational diabetes who have larger babies have to go through many fetal ultrasound tests. With the information from these tests, doctors can determine whether the baby can be delivered vaginally or not. If a C-section is necessary, plans can be made ahead of time. Pre-planned C-sections are usually done in the 38th week. During labor and delivery, women with diabetes are monitored with care. Blood sugar readings are taken every hour or two. High blood sugars will be treated with insulin and low readings will be treated with glucose IVs. This protects the fetus during the last hours before birth. After birth, the baby might have low blood sugar. This is a reaction to the environment of a diabetic mother’s body. If the mother’s blood sugar levels are too high, the child may overproduce insulin for awhile after birth. If this happens, the hospital staff will respond by giving the baby some form of sugar drink or IV. Pregnancy is difficult for diabetic women. However, if you take care of yourself and work with a doctor, you should be able to keep your baby safe. It is never too early to start making yourself aware of the affects of your diabetes on your baby. If you have gestational diabetes, which occurs during pregnancy, you need to take care to eat and exercise as you should. A woman’s needs tend to change during pregnancy. This is especially true for those who have gestational diabetes. You can control your blood sugar more effectively by eating small, frequent meals. Three small meals and a few small snacks each day will keep you nourished without weighing you down at any one time. Do not skip these meals or snacks, or your blood sugar will be harder to keep steady. Insulin resistance is the major problem with gestational diabetes. You are most vulnerable to insulin resistance early in the day. That is why, as a person with gestational diabetes, you should eat less carbohydrates in the morning. Otherwise, you should eat about the same amount of carbohydrates at each meal and each snack during the day. Morning sickness can be a problem for women with gestational diabetes. It can have a great affect on blood sugar. To avoid it, it is best to eat some bland carbohydrates before you even get out of bed. Some crackers or plain cereal before you get up can help you get through the morning without getting sick. If you take insulin, morning sickness can be a serious problem because of low blood sugar. It is more important than ever to know how to treat low blood sugar. Glucose tablets are available at any pharmacy or pharmacy section in a grocery store. Hard candy can help with low blood sugar too, but it may not work as fast as glucose tablets. Other quick-acting carbohydrates are a tablespoon of honey, brown sugar, or corn syrup; or juice, milk, or regular soft drink. The way foods are prepared is as important as the foods themselves. Foods with loads of sugar or fat are obviously not desirable. However, it is just as important that you eat foods that are prepared in a healthy way. For example, it does not help to eat broccoli if it is deep fried. Lack of fiber has been linked with higher blood sugar levels. You need to have plenty of fiber for several reasons. One is to prevent constipation, which is often a problem during pregnancy. If you have gestational diabetes, you need the fiber even more. You need to drink plenty of water and get all the vitamins that your doctor recommends. At least 8 cups of liquids a day are necessary, and more is desirable. Talk to your doctor about the vitamins and minerals you need. You will probably get an order for a particular vitamin and mineral supplement regimen. Good communication with your doctor can help you avoid the pitfalls of poor diet habits. You need to know just what, when, and how much to eat. Your doctor can help you find the perfect balance in your everyday diet. When you have gestational diabetes, diet is important to both you and your unborn child. Give your eating habits the attention they deserve. In the past, women with diabetes have been discouraged from having babies. It was often considered too dangerous for both mother and child. With increased medical care available, a diabetic woman can now have a chance of planning a pregnancy with the help of her doctor. The doctor will want to do several tests to help determine if the woman is healthy enough to have a child. An important test is the 24-hour urine test. This test is necessary to check for kidney complications of diabetes. Protein in the urine is one sign of trouble that can be picked up by the test. Since pregnancy places a heavy strain on the kidneys, it is imperative that the kidneys be in good shape. Another important test is for cholesterol and triglyceride levels. These are important for several reasons. High levels can cause heart problems. A pregnant woman’s heart will be under stress from supporting the fetus without the added burden of heart problems brought on by cholesterol problems. Having high triglycerides can also raise blood sugar levels for pregnant diabetics. Although a woman’s eye health will not affect the baby, it is important to be sure that her eyes are not being damaged by her diabetes. Doctors check for glaucoma, cataracts, and diabetic retinopathy. This is necessary because if these diseases have begun to take hold, a pregnancy can make them worse. When the tests come in, it is good to have a long discussion with the doctor. The doctor will discuss the results of the tests and how they affect the woman. If the tests lead the doctor to believe that the woman is in good enough health to have a baby, the next step will be to talk about getting ready for the pregnancy. The doctor will check the woman’s weight and determine how much she has to gain or lose to get to her ideal body weight. This is important because the diabetic woman will have all kinds of complications during pregnancy if she is not at her correct weight. If she is too heavy, she will have higher blood pressure, higher blood sugar, and other problems. If she is too thin, she may deliver a baby with low birth weight. Weight will be an ongoing subject for a diabetic woman from before the pregnancy through well after. Blood sugar will need to be monitored closely during the time a woman is trying to get pregnant. It is very important, because high levels can lead miscarriages. In early pregnancy, high blood sugar can also cause birth defects. The doctor will also oversee the diabetic woman’s medication if she is planning to get pregnant. The doctor may need to make changes. Insulin needs change with pregnancy. A woman who takes oral medications will probably need to be put on insulin instead during the pregnancy. This will help protect the baby. With careful planning, there is no reason why many diabetic women cannot become new mothers. As long as blood sugar levels, complications, and medications are kept under control, a healthy pregnancy is possible. Many women have a form of diabetes that occurs only in pregnancy. It is called gestational diabetes, and it can cause problems for both mother and baby. Doctors routinely check for gestational diabetes in women who have risk factors for it. There are three main risk factors for gestational diabetes. Women who have had gestational diabetes when they were pregnant before are more likely to have it again. Any woman who has had a baby larger than 8.8 pounds will probably be checked during later pregnancies. Finally, a woman younger than 25 who was already overweight before she became pregnant is at risk. Unless you have shown signs of high blood sugar beforehand, the test will usually be done at around the 24th to the 28th week of pregnancy. It is called the glucose challenge screening test or, for more accurate results, an oral glucose tolerance test will be done. There is very little preparation necessary for the glucose challenge screening test. For the glucose challenge screening test, there is no fasting required and it can be done at any time throughout the day. You just drink 50 grams of glucose in liquid and give a blood sample after an hour. A glucose tolerance test is in order if your blood sugar level is 140 mg/dl or higher at that time. To prepare for it, mostly you will follow your regular habits as long as they are healthy ones. You should eat a balanced diet in the days before the test. 150 to 200 grams of carbohydrate are recommended per day. There are a few things that need to be taken care of before the test. The doctor needs to check all of your medications. In certain cases, some medications will be discontinued before the test if they might affect the results. If you are taking the oral glucose tolerance test, you need to avoid strenuous exercise for eight hours before the test. In fact, for this period, you also should not eat, drink, or smoke. This will prepare you for an oral glucose tolerance test with accurate results. You will have to give four blood samples within the course of the test. The first is taken upon arrival; because you have been fasting for eight hours, it is the baseline fasting blood sugar level. A normal level for this test would be less than 95 mg/dl. Next, you have to drink 100 grams of glucose in liquid. The concoction is so sweet that many people have trouble taking it. Some people may have an upset stomach or even vomit. If they do vomit, they will have to take the test on another day. The three additional blood samples will be taken at one-hour intervals. At one hour the blood sugar reading should be less than 180 mg/dl. After two hours, the blood sugar level should have dropped to less than 155 mg/dl. After three hours, the blood sugar level should be less than 140 mg/dl. Your doctor will take the information from the glucose tolerance test and determine how you need to be treated during your pregnancy. An accurate test can save the life of the baby, and preserve the health of the mother. Sometimes women’s skin clears up during pregnancy and other times it breaks out. Diabetes can make skin care even more difficult for pregnant women. The disease can keep women’s skin from fighting infections or from healing properly. It is possible to take care of the skin even with diabetes. Boils are bacterial infections that come up around a hair follicle. They require treatment with antibiotics. If high blood sugar levels are a problem, they may be slow to heal. If this is the case, the doctor needs to be consulted for further care. It is not wise to let infections like this go untreated. There are several fungal infections that are common among all people. The trouble is that they can be extremely severe when people have diabetes during their pregnancy and get these fungal infections. They must be taken care of as soon as possible. One is Candida albicans. This fungal infection can occur anywhere the woman has warm, moist folds of skin. The infections under the breasts, in the armpits, and between fingers and toes are difficult enough. When this fungal infection enters the groin area, it can affect the baby, especially on delivery. Pregnant women who have out of control diabetes should be aware of a fungal infection called mucomyocosis. This fungus may seem to be a simple sinus infection at first, but it can rapidly cause problems in the lungs and brain. One of the signs is that the skin over the sinus areas will be red and sometimes oozing. This skin condition needs immediate attention. There are also skin problems caused by high cholesterol and blood fat levels. Eruptive xanthomatosis is one that shows up as yellow waxy bumps ringed in red, which are very itchy. They can be found on the backs of legs, arms, and on the buttocks. The only ways to help with these skin eruptions are to control blood fats and sugars. The best thing a pregnant woman with diabetes can do for her skin is to protect it in the first place. Keeping blood sugar levels in check is the most effective way to do that. It allows the body to heal itself and fight off infections that attack the skin. It is also helpful to prevent dry skin. If the skin becomes so dry that it cracks open, infections can enter easily. Women with poorly controlled blood sugar levels will have trouble with their skin because their blood supply is not what it should be. Keeping the skin moist helps protect it under these circumstances. Any diabetic person should consult with a doctor whenever it becomes obvious that a skin problem is not going to go away. The doctor has many options for treating it, including specific medications for different kinds of conditions. It is better to say something to the doctor too soon rather than too late. Knowing about the different types of skin problems that might occur is helpful for women with diabetes who are pregnant. Once they know what is possible, they can be on the lookout for problems before they happen. Simple home care or a doctor’s treatment can mean the difference between troubles and a healthy mother and baby. Women who have diabetes during pregnancy are faced with many problems. If they also have trouble sleeping, they may also have to deal with sleep apnea. As it turns out, blood sugar levels are closely related to the successful treatment of sleep apnea in those people. Sleep apnea happens most often in type II diabetics rather than type I diabetics. Women who were type II diabetics before pregnancy may be plagued with even higher blood sugars after they are expecting. One thing that can help bring the blood sugar readings under control is to treat sleep apnea if it is present. Obstructive sleep apnea is a disorder in which a person’s airway becomes collapsed as they relax to sleep. They can no longer maintain a steady flow of air to their lungs. Their breathing will become irregular. In fact, they may even stop breathing for short periods of time. Signs of sleep apnea are loud snoring and snoring consistently through the night. Then, the person will be tired during the day because of the lost or inadequate sleep. They will often nap or fall asleep during daytime activities. Women who are pregnant may not notice the daytime tiredness because that is not unusual for them. However, any hint that they are not sleeping normally is a possible warning. A CPAP (continuous positive airway pressure) machine can be fitted to the pregnant woman by means of a sleep study. This study is perfectly harmless to the unborn child. It will help the woman’s doctor determine whether she needs help in breathing through the night. As the air from the CPAP holds the airway open, the woman will be able to breathe freely. She will not be startled awake because she has stopped breathing. She will have her best chance of getting a good night’s sleep. Research has shown that diabetics who have been given a CPAP to use for their sleep apnea have shown great improvement in their blood sugar levels. Morning blood sugars tend to go down with CPAP use. The average decrease in blood sugar levels after meals over the course of one study was 60 mg/dl. One way the CPAP may work for pregnant diabetics is that it can lower the incidence of insulin resistance. When the pancreas secretes plenty of insulin, but the cells are not able to use that insulin, it is insulin resistance. This causes the blood sugar levels to go up since the cells cannot take the sugars into themselves. The CPAP can balance hormone levels that affect the insulin response. Without proper sleep, the woman can experience a rise in hormone levels that keep the insulin from acting properly. By using the CPAP, the woman can get a good night’s sleep and help keep her blood sugar down at the same time. Pregnant women always need to get adequate sleep, but if they have diabetes it is even more important. It helps to bring down the blood sugar levels and give the woman more energy during the day. Anyone who has signs of sleep apnea should discuss it with a doctor, especially if they are a pregnant diabetic patient. Either being pregnant or having diabetes can cause women to feel alone and different. Having both conditions together can make a woman feel like an outcast at times. With no one who really understands, it can be difficult to follow doctor’s orders after awhile. Networking can help diabetic pregnant women overcome these problems. When loved ones find out that a pregnant woman has diabetes, or that a diabetic woman is pregnant, they are full of advice. Their well-meaning persistence in trying to control the woman’s diabetes can become something more like hounding. Women who are subjected to such pressure feel stressed and often humiliated. Even if the meddling relatives will not go away, it is good to have a network of people who can support the diabetic woman through her pregnancy. It helps to find women who understand from experience what it is like to struggle with high and low blood sugar levels, for example. Women who can relate to the drudgery of constant blood sugar monitoring can empathize with someone who is just beginning to weary of it. They can give examples of how they got through it. This is not just someone’s theory of what a woman might do, but suggestions based on actual experience. Because pregnant women who are diabetic are not the widest demographic, it may be difficult to find other people to network with in the woman’s local area. Sometimes there are groups associated with hospitals, especially if they are large regional facilities. Otherwise, it is necessary to find women from this group in other ways. The internet offers many forums for pregnant diabetic women, or diabetic women who wish to become pregnant. These sites are easy to find. Just type into the browser: pregnancy diabetes forum. There will be many sites to choose. These sites are filled with women’s stories. Many have women’s accounts of their entire pregnancies, sometimes even starting before conception and going through the time after the child is born. Pregnant women can get an idea of what might be expected in their own pregnancies by reading the stories of others. Another way pregnant women with diabetes can use these forums is to ask questions. They can talk about their current situations and put out a general question to the other members of the forum. Other women will post their answers and opinions to help the woman understand her problem better. However, it is never wise to take the advice and opinions of a forum for the truth when it comes to serious health matters. Getting the information from the forum only gives women a starting point to build on by talking with their doctors. If the doctor does not think something is important, then a woman can learn from her peers about the everyday situations. No matter what information is gleaned from the process, it is always helpful to be in contact with women who are going through similar problems. It helps a woman feel more normal and human. Networking makes this possible. It is routine for doctors to suggest exercise for their pregnant patients. When those patients have diabetes too, exercise is even more important. The doctor will make the final determination as to what exercise is appropriate. However, it is good to explore the options ahead of time. Walking. If you have not been particularly active, walking is an activity that you can probably still do. Most pregnant women can walk for 20 to 30 minutes several times a week. Such a low-impact activity is easy on the mother and child. You can control your pace easily, so it is easy to keep from overdoing it. Swimming. A great aerobic activity, swimming helps pregnant women move easily without feeling the weight of their bodies. The buoyancy they feel in the water makes them able to exercise comfortably. The only thing to be aware of if you have gestational diabetes is that the water must be clean and treated properly so that you do not pick up any infections. Recumbent bicycle. The problem with a regular exercise bicycle is that the seat is not designed well for pregnant women. A recumbent bicycle has a seat that looks like a chair. It allows the pregnant woman to exercise without straining her pelvic or abdominal areas. At the same time, the activity provided will help diabetics to lower blood sugar. Arm ergo meter. This is a machine that helps you to work your arm muscles while putting little stress on your lower body. Sometimes, a pregnancy is especially vulnerable to pressure to the pelvis. An arm ergo meter allows pregnant diabetics to get their metabolism going without endangering their pregnancies. Special exercise classes. There are classes given in gyms, community centers, and hospital centers for expectant mothers. These are helpful for pregnant women who are struggling with diabetes along with their pregnancies. If you take one of these classes, you can do what is comfortable for you and rest when the action is too intense. One advantage of going to the classes is that you are observed doing the activities. If anything seems wrong, the leader of the group should see to your needs. Exercise videos. There are exercise videos that are available for home use. It is important if you use these videos that you understand whether they are safe for use during pregnancy. If you have any doubts, you can ask your doctor. Chances are your doctor will not have time to review the tape, but a medical assistant may be able to look it over for you. Never try a video exercise program if your doctor’s staff does not approve it. No matter what exercise you want to do, you should tell your doctor all about it. It is dangerous to start a vigorous exercise program while you are pregnant. Your doctor needs to know if you are pushing yourself too far. You also need advice on how to monitor your blood sugar levels. Your doctor will tell you how to react to low or high blood sugar readings. Your doctor is trained to tell you what exercises are right for you.